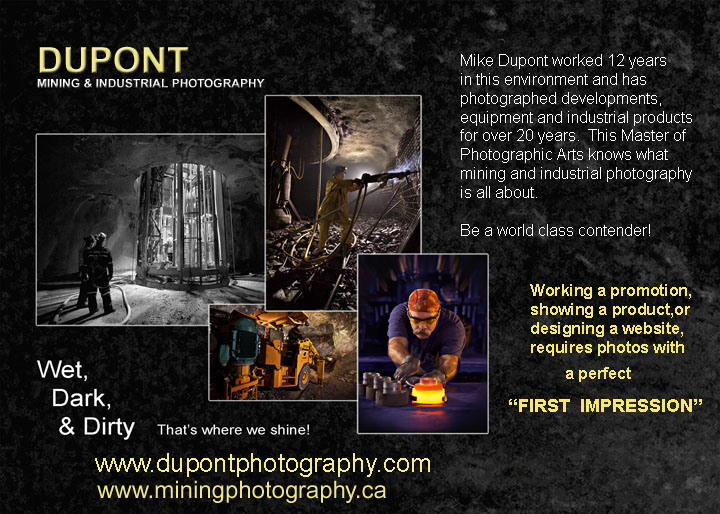 Mike Dupont is a mining expert, award-winning professional photographer, yacht captain, and helicopter pilot! Need we say more? This is the kind of passionate man you want on your team! Mike has worked in the mining industry in virtually every mining environment. His expertise and hands-on knowledge gives him the extra edge to come up with exceptionally specialized images only he can create!